Our West Milford eye doctor specializes in understanding how the human eye really works, as well as eye diseases and conditions that affect your vision – many of which do not have obvious symptoms. At our West Milford eye care clinic, we know how age and risk factors affect vision over time for young and old, and our optical team understands the benefits and features of corrective lenses including eyeglasses and contacts. It is my pleasure to introduce myself to you. 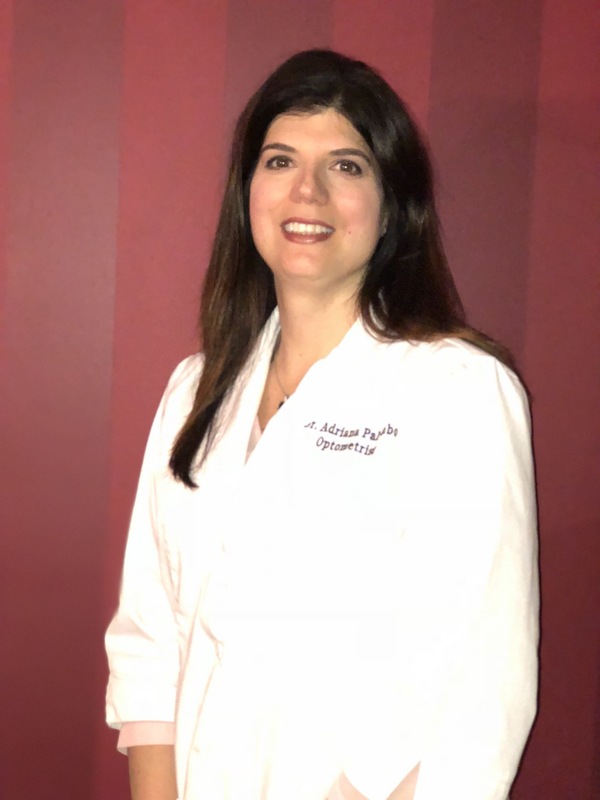 My name is Dr. Adriana Palumbo and it has been a long time dream of mine to have my own practice. At West Millford Vision Center we look forward providing you with the high quality care and treatment you deserve. I would also like to share with you some information about my background and professional qualifications. I graduated from Providence College in 1995 and New England College of Optometry in 1999, both with honors. Later I completed an ocular disease residency program through the VA hospitals in Boston, MA. I practiced optometry for over 16 years in an ophthalmology practice within a hospital. My specialty is diagnosing and treating various eye diseases including glaucoma, conjunctivitis, and diabetes, and I also fit various specialty contact lenses. I am excited to provide quality eye wear, including contact lenses, eyeglasses and sunglasses to you and your family. I am also pleased to let you know that I visit local Nursing Homes and provide eye care for individuals who are not able to come in to the office due to mobility or other issues. I am on the board of the West Milford chamber of commerce. On a personal note, I have been married for 19 years and have three children, ages 16, 14 and 8. While my life is very busy between work and my family, I enjoy every minute of it. When I do find time to escape, I love to read and exercise. I look forward to meeting you and attending to all of your eye care needs. We are proud of Dr. Palumbo's achievements. Read more about her accomplishments.